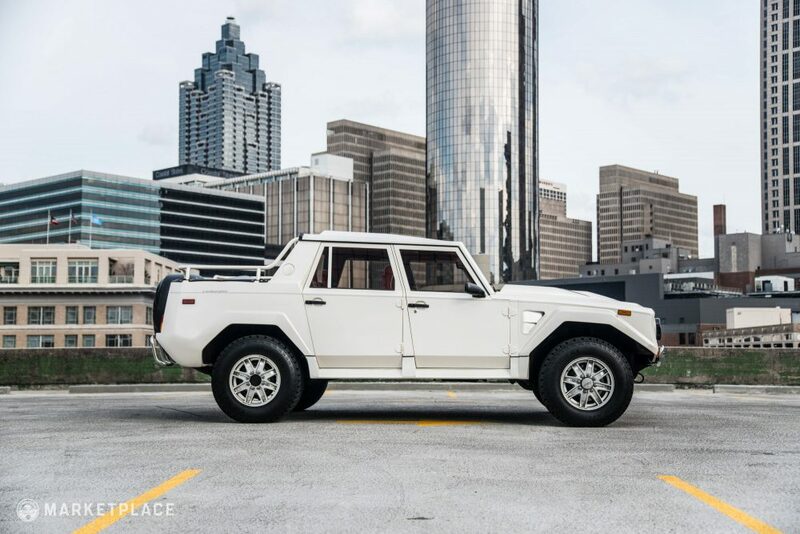 In the Late 1970s, Lamborghini developed a prototype military-style 4×4 called the “Cheetah.” This one-off prototipo SUV featured a rear-mounted Chrysler V8 and was designed as an exploration vehicle for the oil industry. 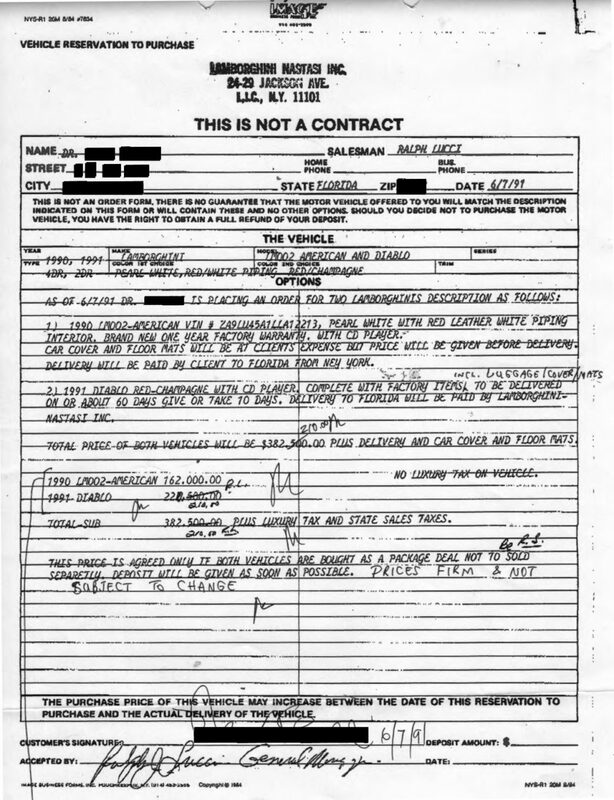 It was later demonstrated to the United States military, though the idea failed to get traction with the top brass. 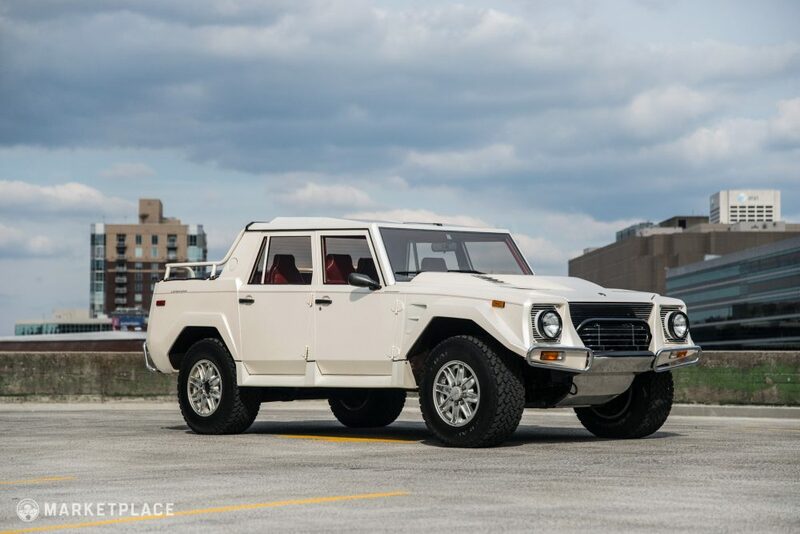 This underwhelming first attempt at an off-roader sent Lamborghini back to the drawing board, which resulting in their second take: the LM001, a revised version of the Cheetah powered by an AMC engine. 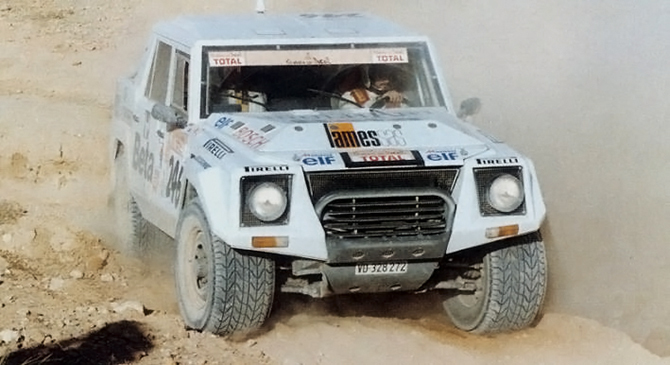 The complexities and handling drawbacks of a rear-engine 4×4 were too cumbersome, however and the program shifted focus to another design. 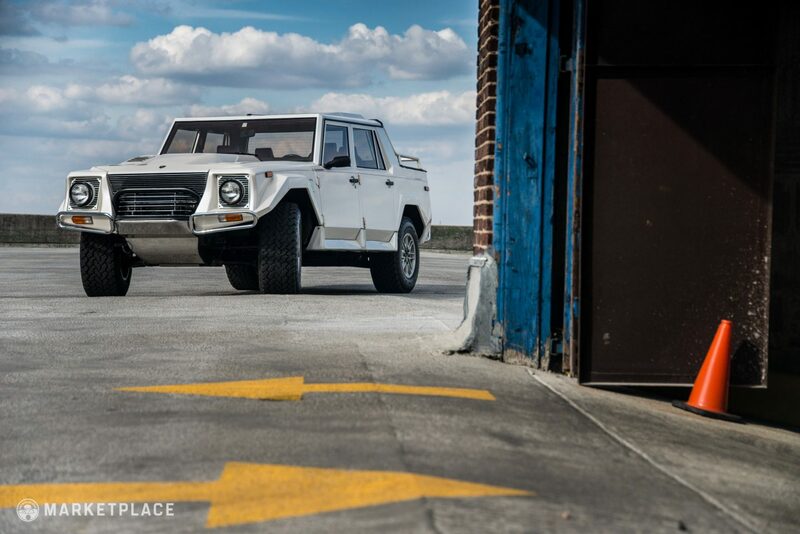 The Raging Bull’s third and final attempt would prove to be their most successful shot at creating a Sport Utility Vehicle: the LM002. 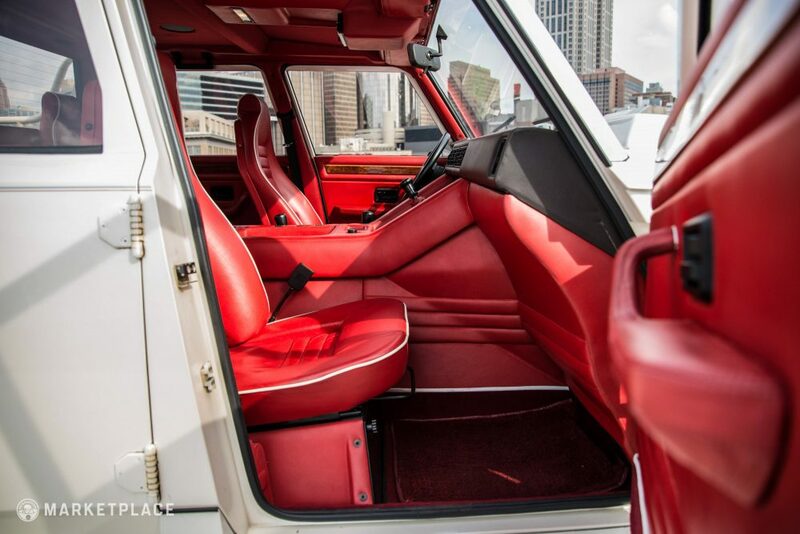 With an all-new chassis featuring a more traditional front-engine configuration, the LM002 received the Countach-derived 5.2-liter DOHC 48-valve V12—a first for production SUVs. 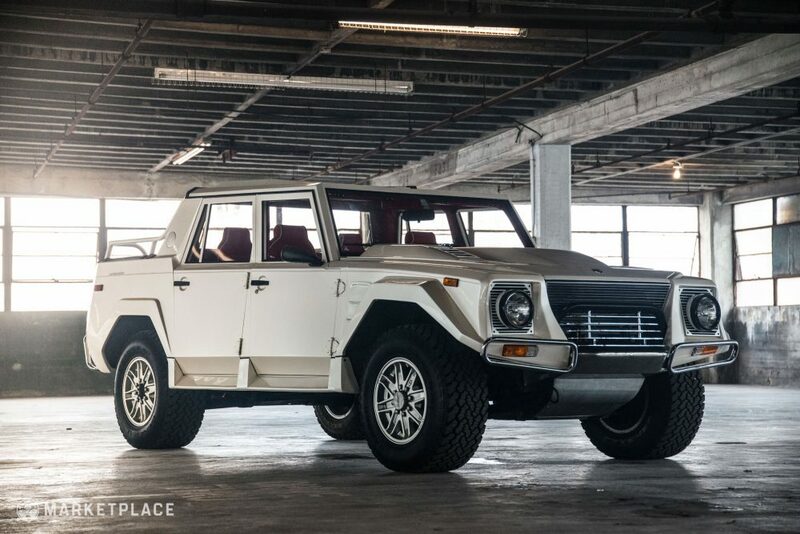 At the 1986 Brussels Auto show, Lamborghini unveiled their production LM002, which arguably received the coolest car nickname of all time: the “Rambo Lambo.” Civilian-spec LM002’s came loaded with extensive leather upholstery, air conditioning, tinted windows, and a roof mounted stereo console. 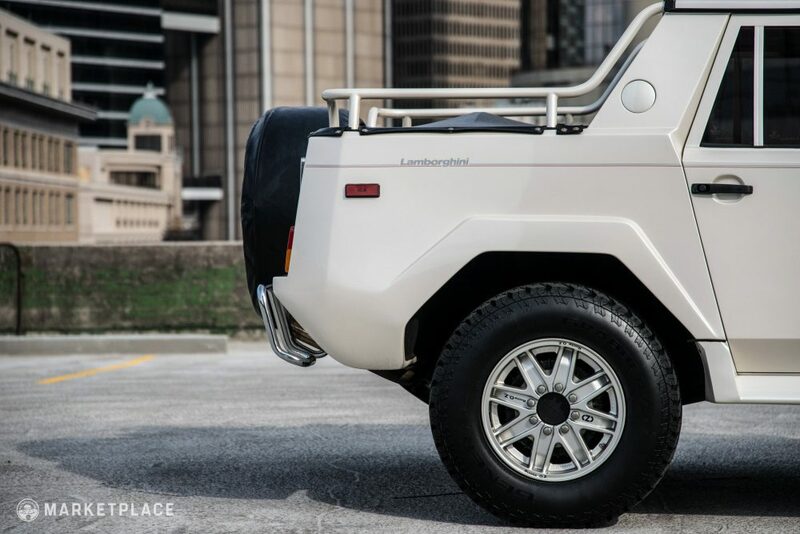 As usual, Lamborghini reached out to Pirelli for tires, but this time they had an unusual request, a bespoke, run-flat tire specifically designed for the LM002. 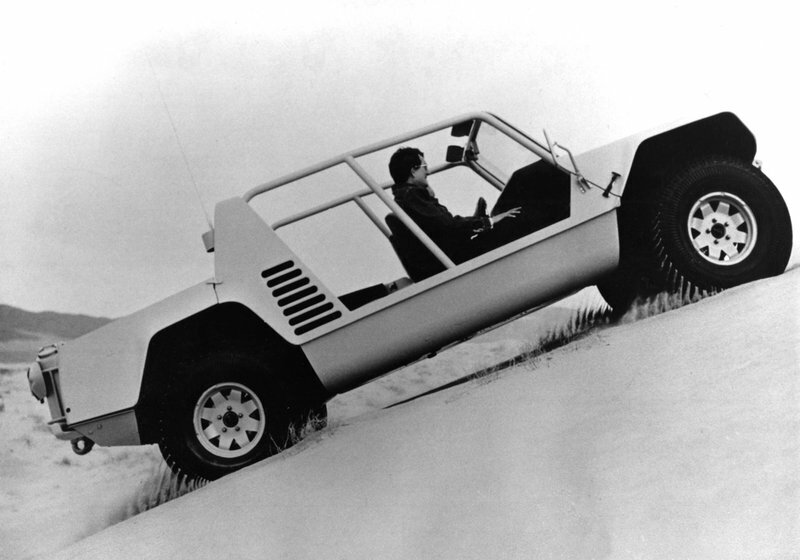 The end result was two different tread designs designated as the Pirelli “Scorpion”: one for all-terrain, fitted as standard, and another optional specifically crafted for sand marauding. 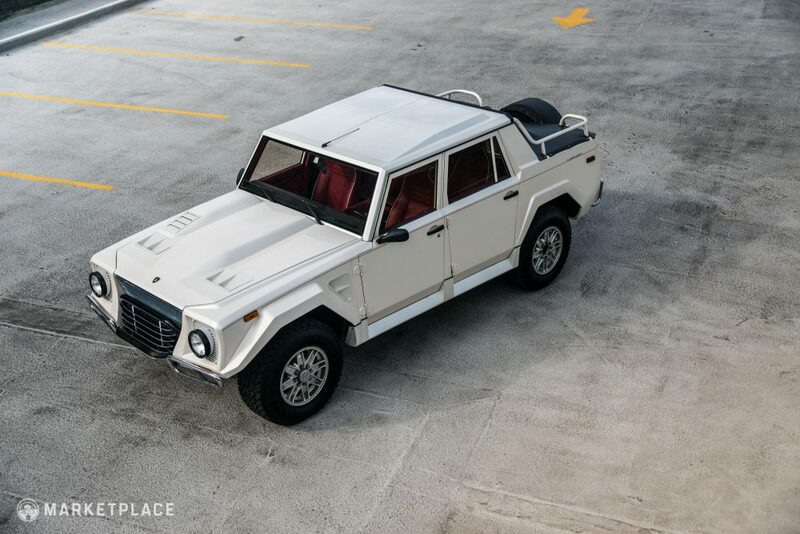 Aiming to conquer the Paris Dakar Rally, Lamborghini built a custom race version of the LM002 that included a lightened chassis, rally-spec long-travel suspension, a race-prepped V12 good for 600 horsepower, navigation equipment, a plexiglass greenhouse, and a full roll cage with additional safety features. 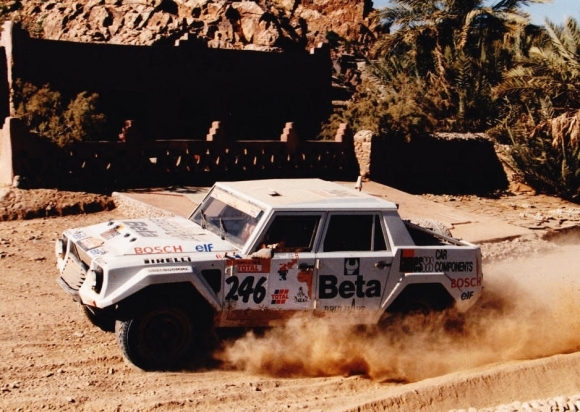 Unfortunately, the race version was unable to compete in the Paris Dakar Rally, but it did manage to enter the Rallye Des Pharaons with Sandro Munari behind the wheel. 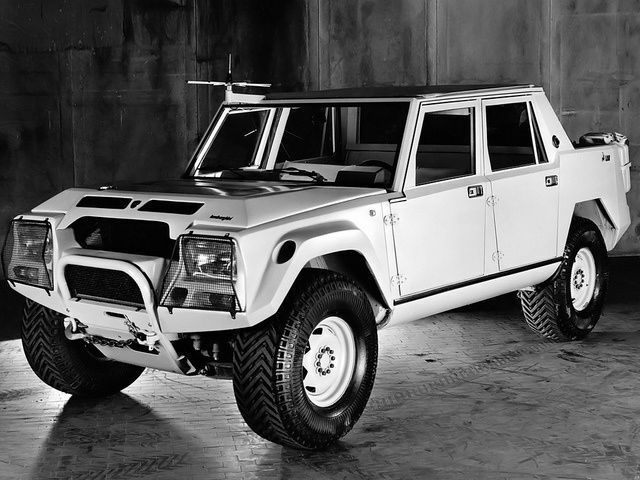 The LM002 shares its overall shape with the “Cheetah” prototype, which was originally designed by Rodney Pharis. 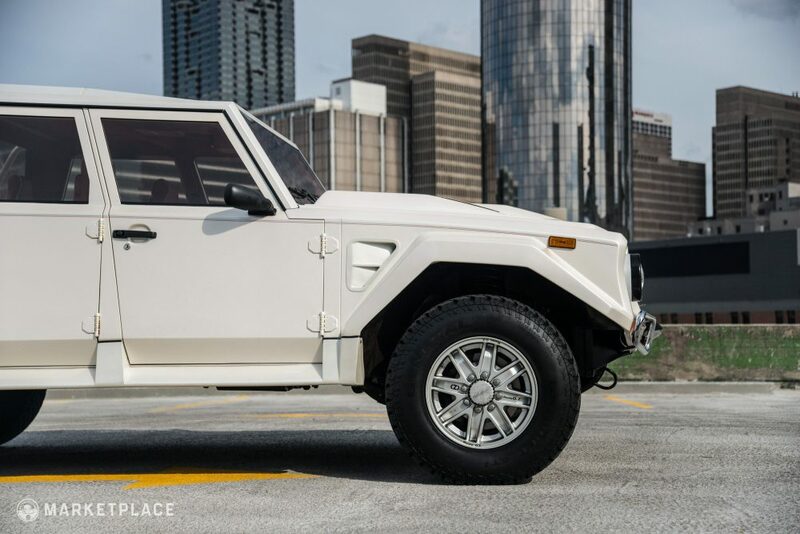 Pharis was the president of Mobility Technology International, an American defense contractor competing for a U.S. military “lightweight” military vehicle contract. 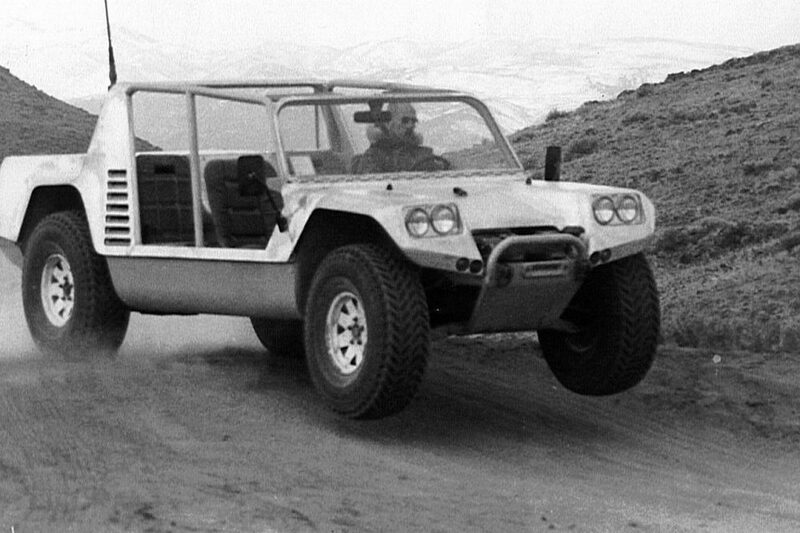 Pharis was accused of taking heavy design influence from the FMC XR311, the opposing defense contractor’s vehicle submission. 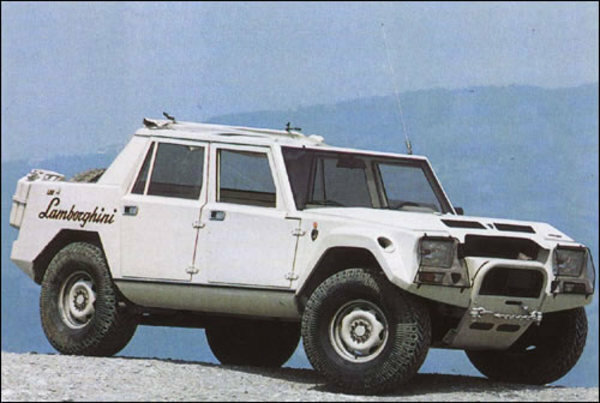 Regardless, the LM001 continued development and subsequently the LM002 further evolved both mechanically and visually. 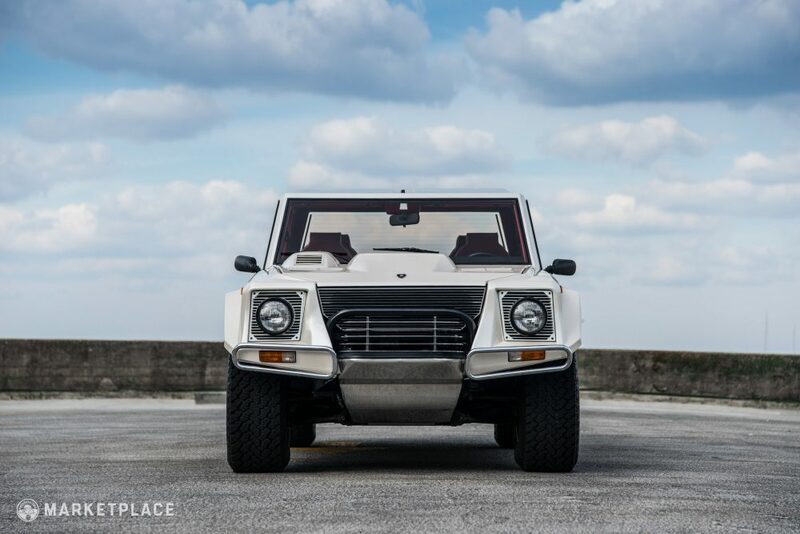 Ignoring the fact that the AM General “Humvee” arrived after the “Cheetah,” the production version of the LM002 resembled the offspring of the aforementioned Humvee and Lamborghini’s avante-garde Countach. 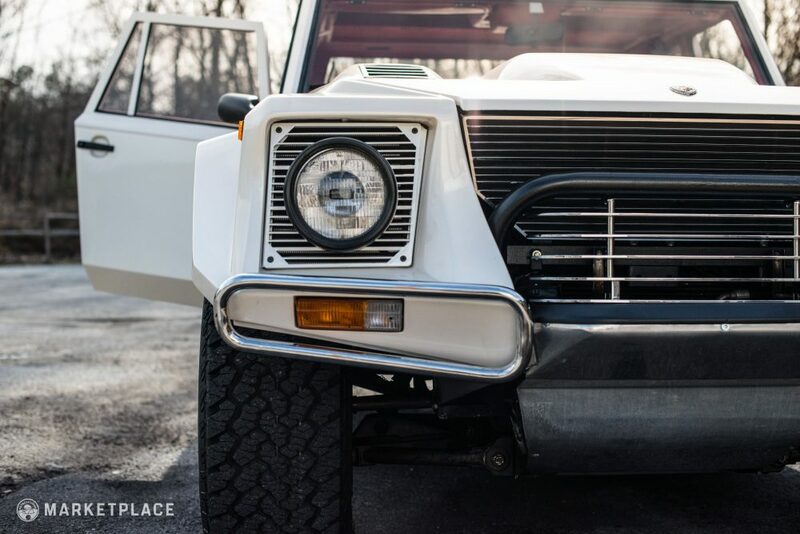 Rugged and exotic, the LM002’s brutal design exudes one characteristic no one can deny: it is incredibly unique. 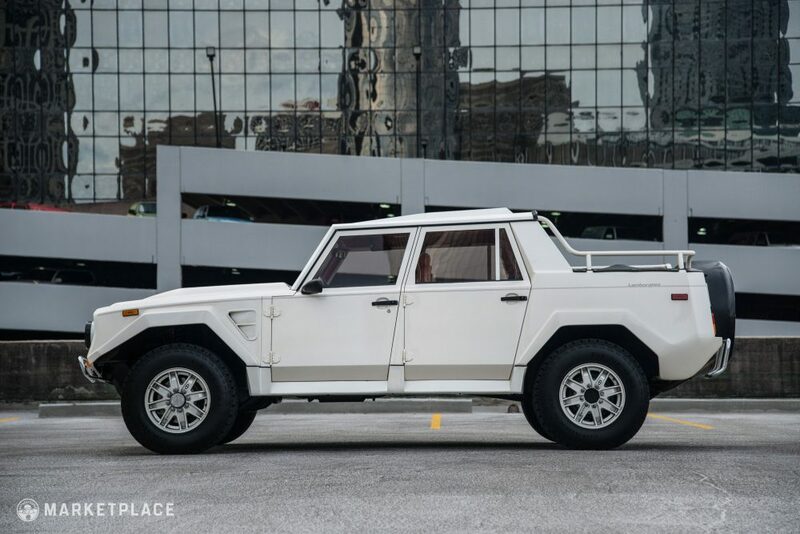 From 1986 to 1993, Lamborghini manufactured only 328 LM002’s, making them exceedingly rare even by Italian supercar standards. 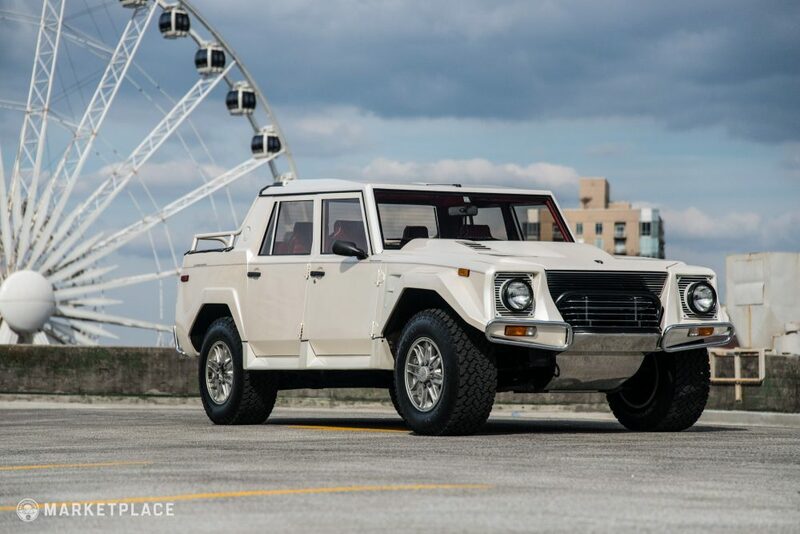 This particular LM002 is one of just 48 produced for the United States market, simply badged as the “LM/American.”In 1990, Lamborghini received a special two-part order that specified an LM/American (the vehicle offered here) and a Diablo for a grand total of $382,210. 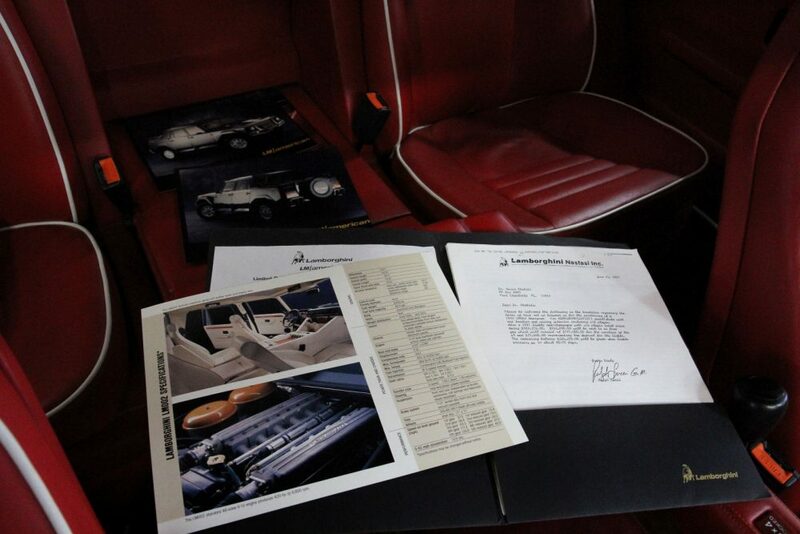 Both cars were delivered in June 1991. 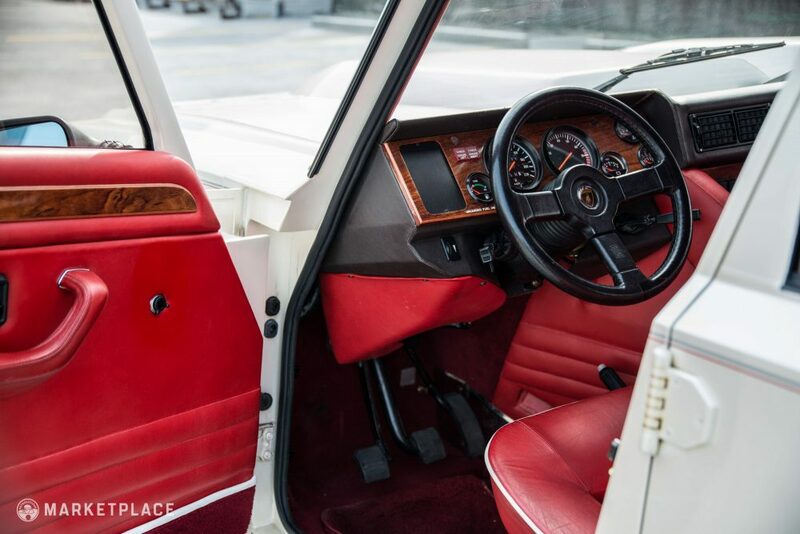 A pearl white on red leather example, this LM is a one-owner truck with an astonishingly low odometer tally of just 5,400 kilometers (3,384 miles)—or around 125 miles per annum. 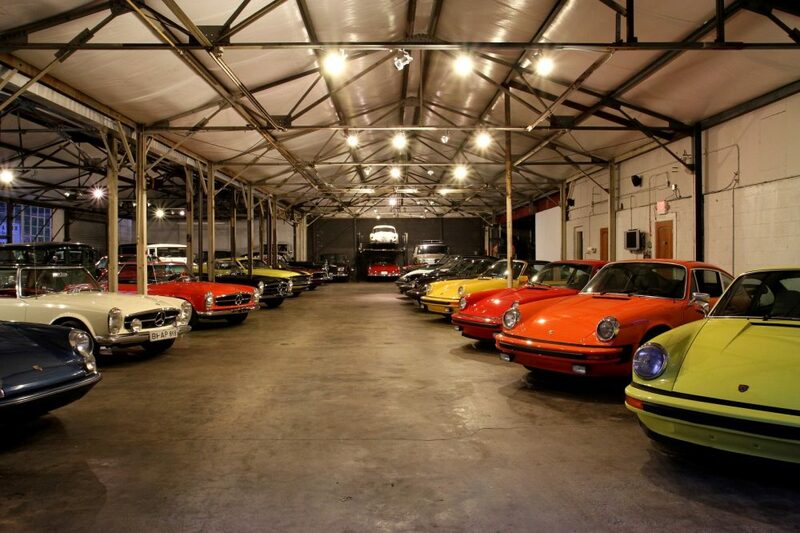 After many years spent in a climate-controlled garage it is now on offer for the first time since new. 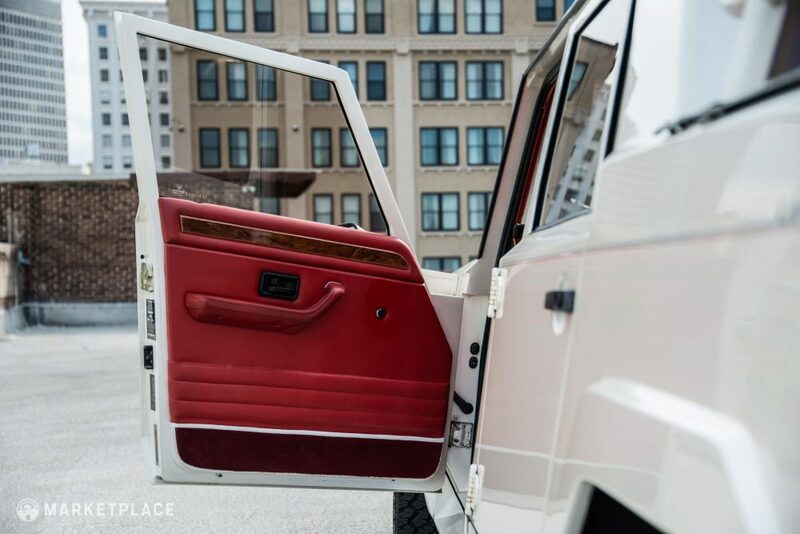 Body – Thanks to its fiberglass construction, the truck’s body is impervious to rust and is comprised entirely of all factory-original panels and equipment, unmodified from stock. 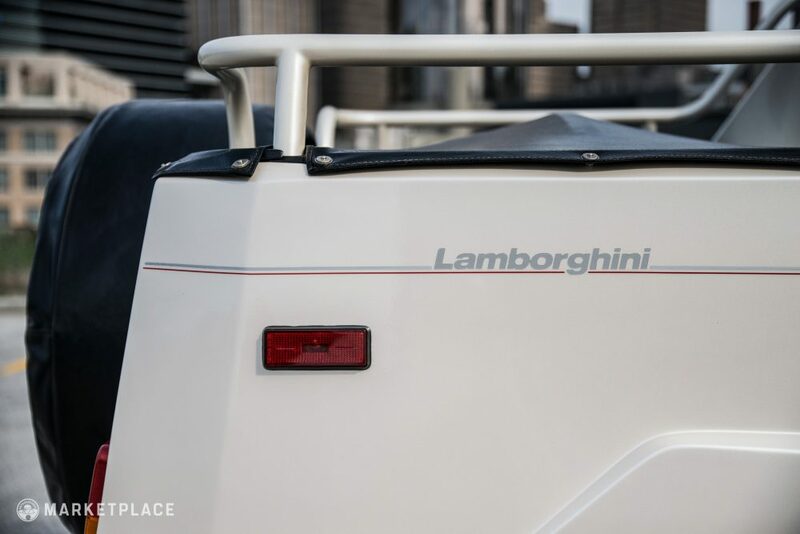 All lighting equipment is fully functional and in like-new condition, while the bed is complete with a snap-down removable factory tonneau cover, matching spare wheel cover, and additional storage. 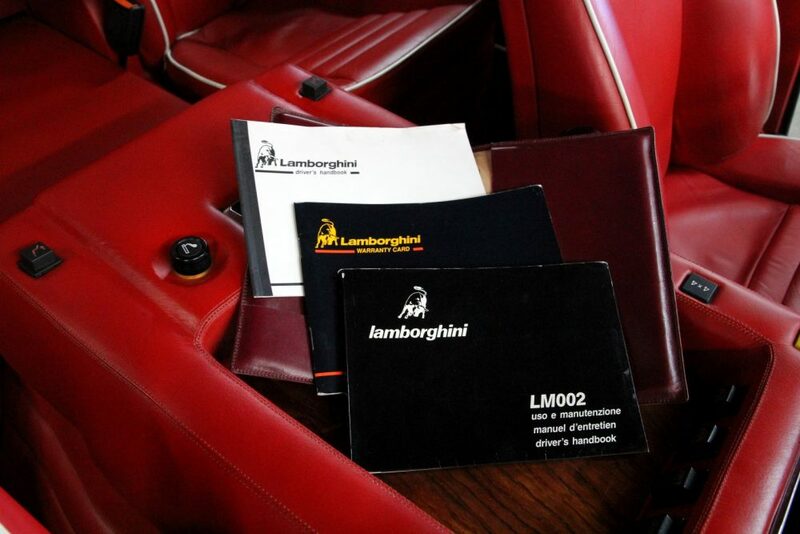 The only imperfections of note are minor scuffs in the Diamond Plate bed floors incurred from light use. 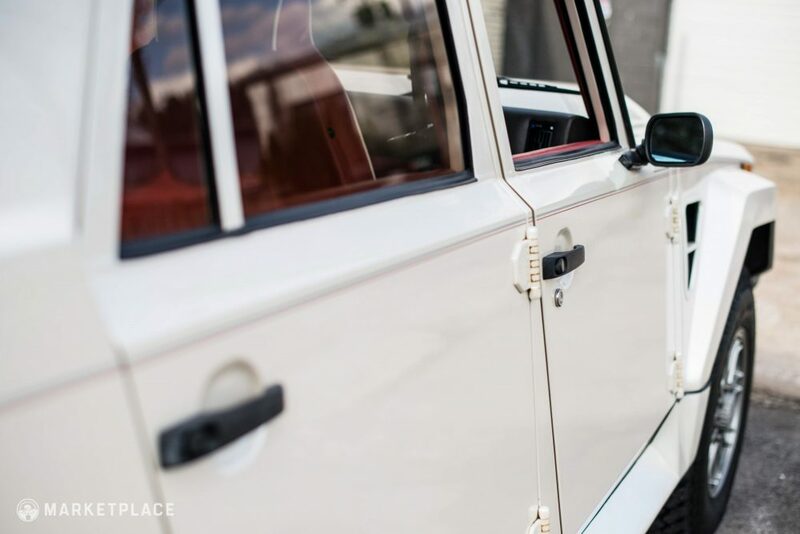 Paint – The pearl white paint is original and in exceptional condition. 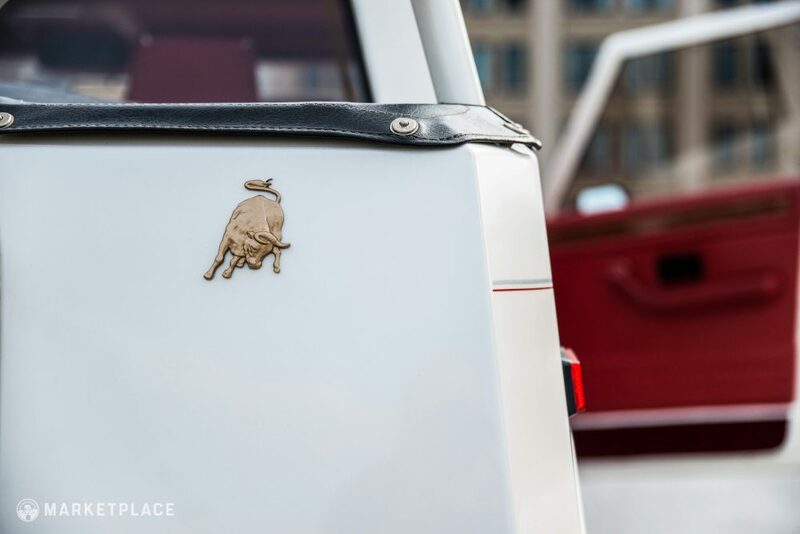 The finish retains a deep shine and the optioned gray and red pinstripes are undamaged. 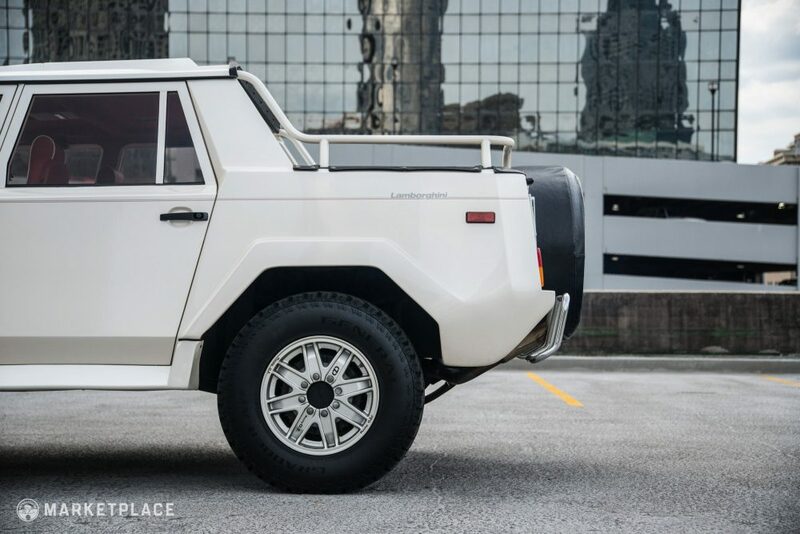 Above, the fiberglass sealer on the roof has some cracking, which was noted as an issue from the factory with every unit LM002 produced. 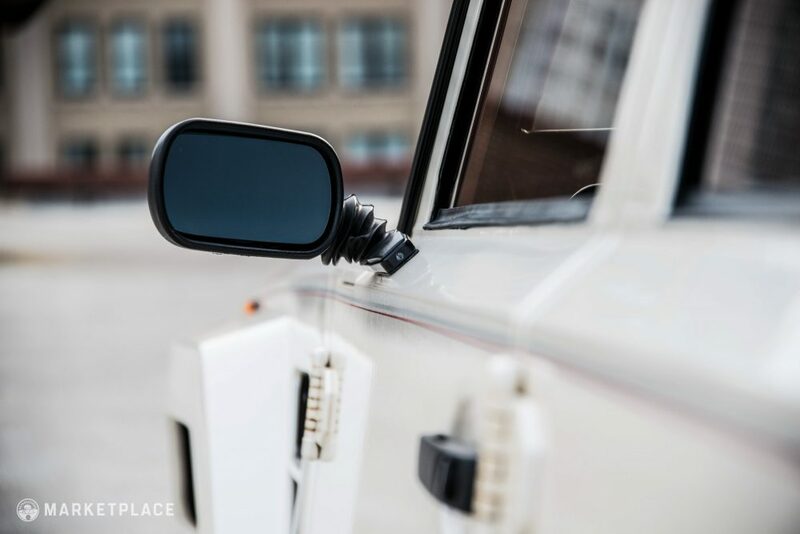 Trim & Glass – All glass, including the windshield, is original to the car and free of rock chips and cracks. 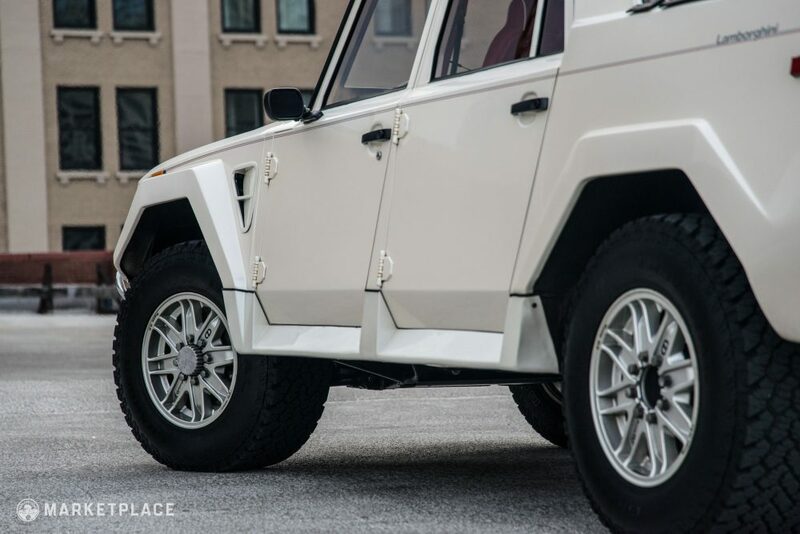 Wheels – The original and very attractive silver painted MSW/OZ Racing alloy wheels present perfectly with no curb rash and only minor peeling of the “Ruote O.Z.” stickers. 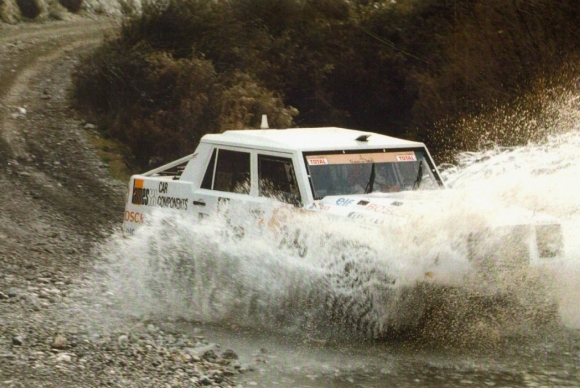 Although the spare still wears the factory-equipped Pirelli Scorpion tire, the rolling four have been swapped in favor of modern General-brand All Terrains due to the safety concerns with three-decade- old rubber. 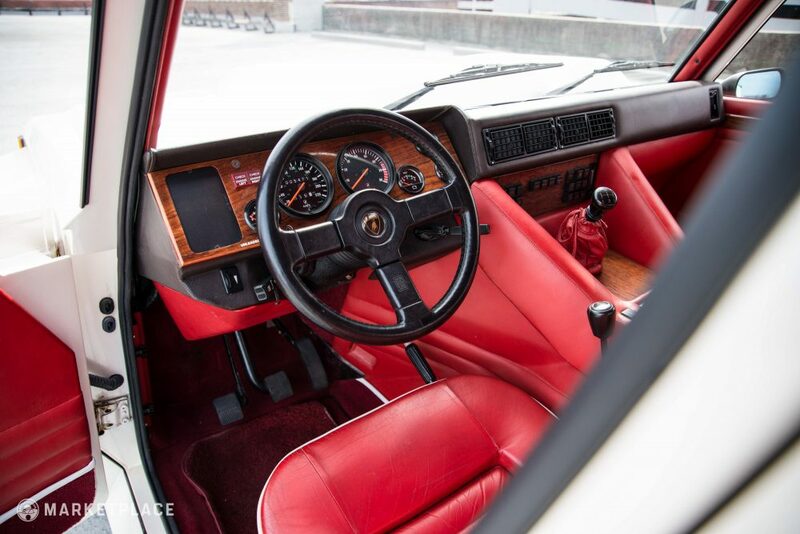 Steering Wheel – The original three-spoke leather wrapped steering wheel is in excellent shape. 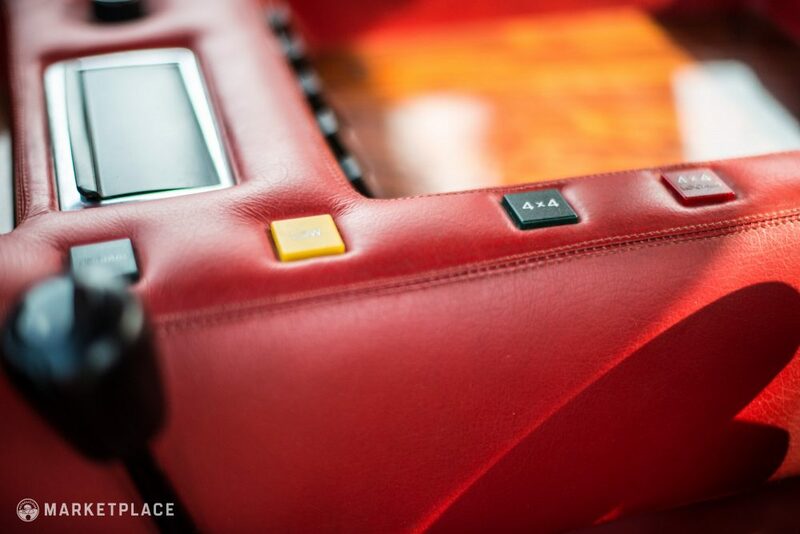 Dashboard & Instrumentation – The charcoal leather dash cover is free of sun damage, tears, or cracking, complemented by flawless instruments, HVAC switchgear, and power window controls. 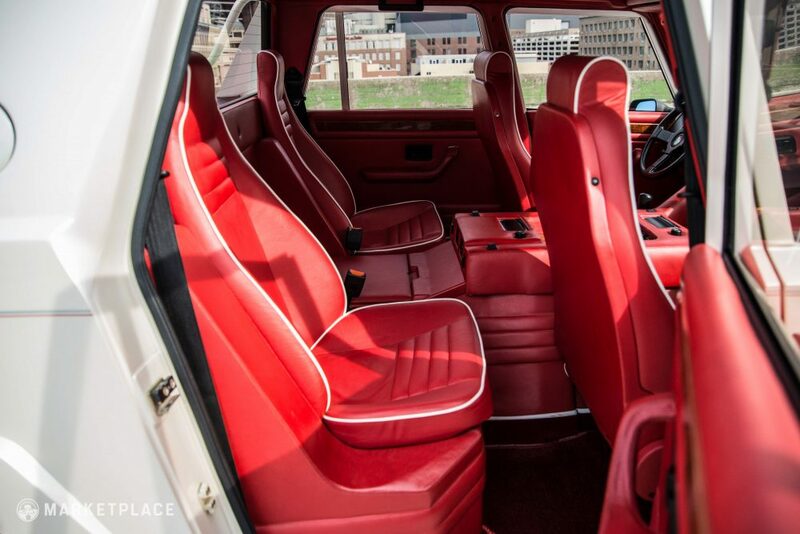 Seats, Trim, & Carpet – The vibrant red leather seat covers feature white piping accents and are in like-new condition with no discoloring, tears, or bolster damage. 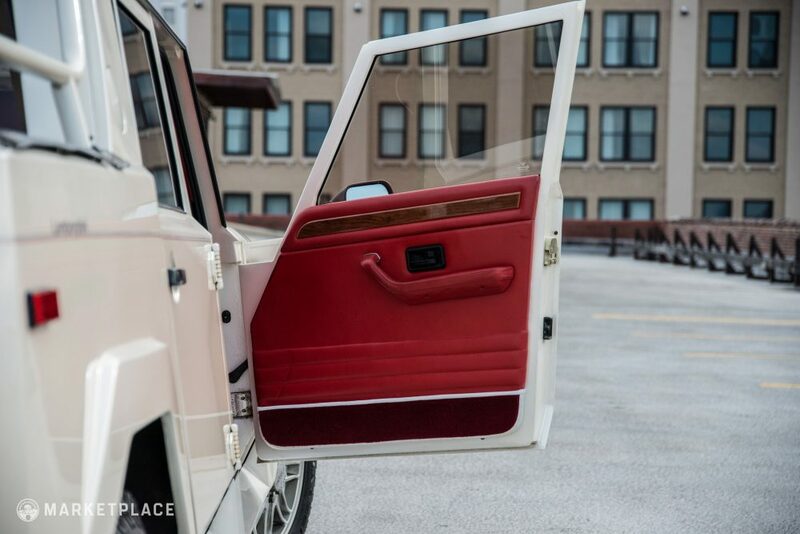 The matching red carpets and floor mats are free of stains or fading, while the headliner and door panels are in equally pristine condition. 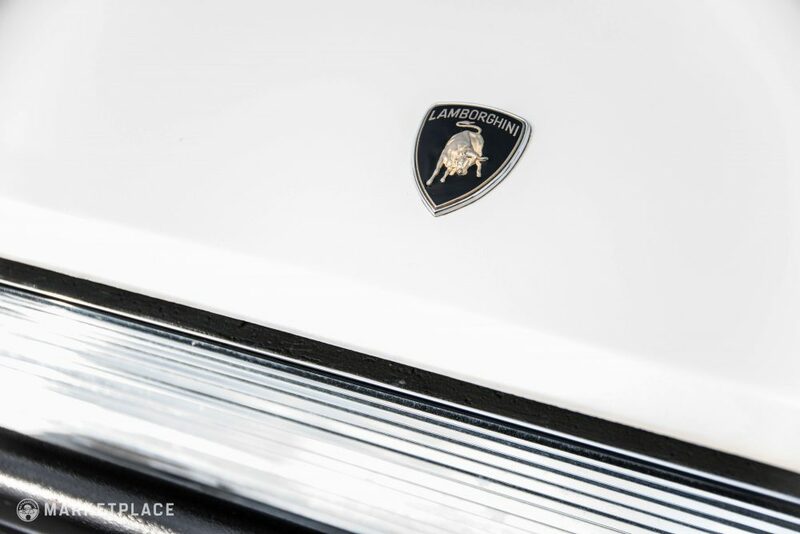 Engine – The 5.2-liter DOHC 48-valve V12 remains unopened since its factory assemblage and has been serviced by Lamborghini specialists. 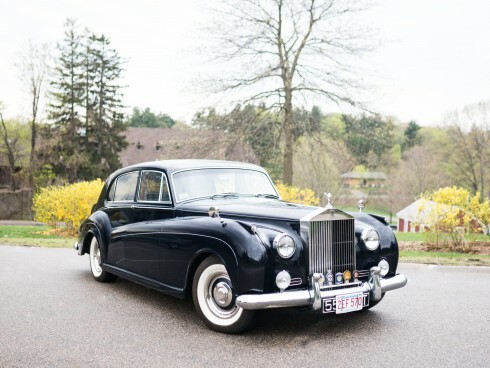 Maintenance: Due to the low mileage the service history is not extensive. 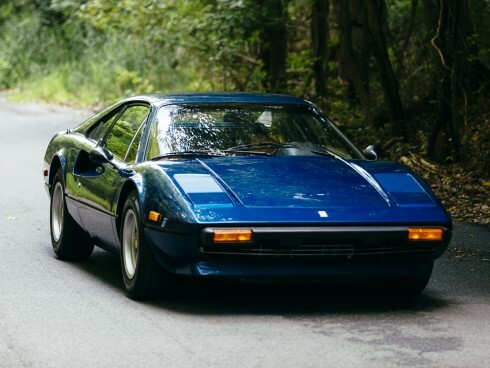 The Drive: The owner notes the engine starts effortlessly and is surprisingly quick, all while bellowing out its signature V12 howl of course. 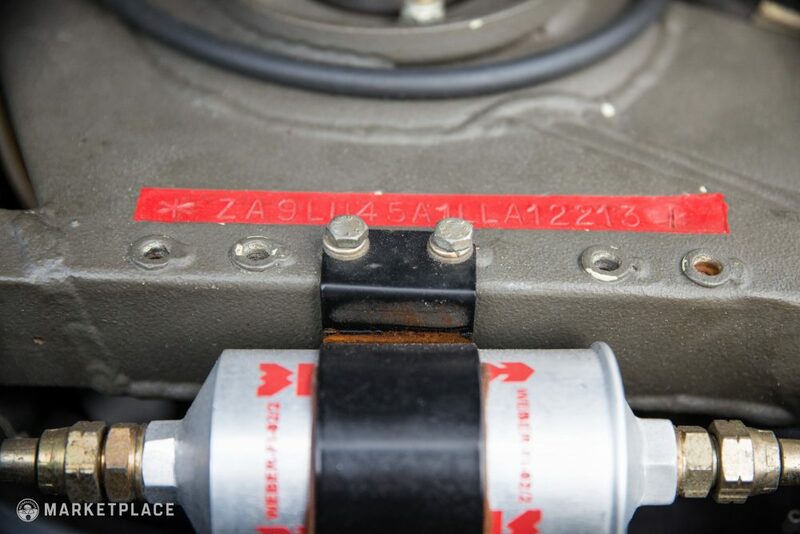 Transmission – The five-speed manual transmission is original as is the clutch. 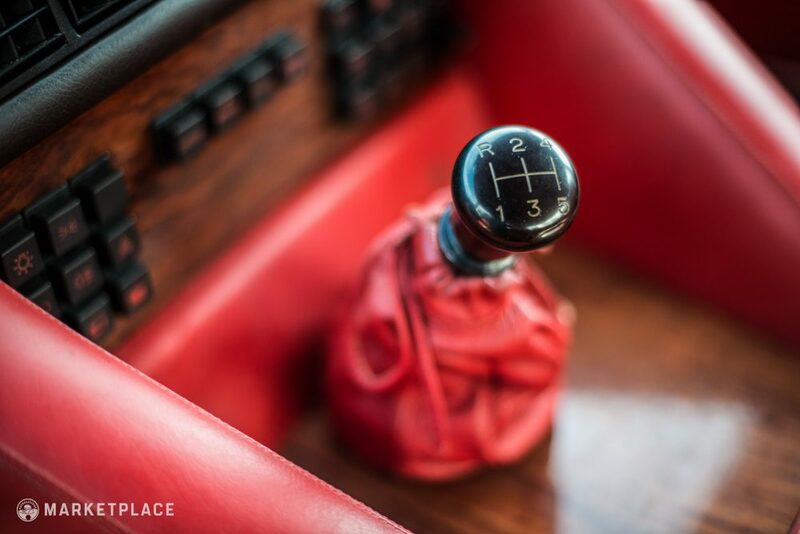 The Drive: Shifting is smooth with no grinds, noises, or popping out of gear. 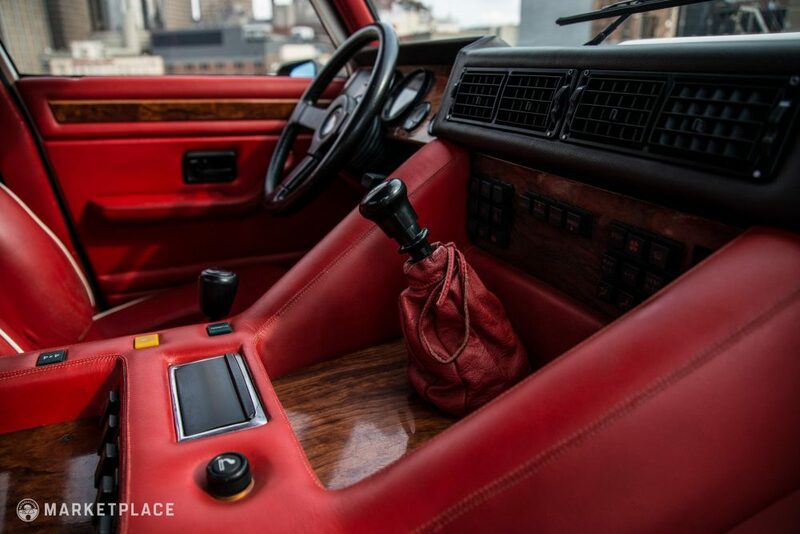 The dogleg 5-speed is certainly an interesting addition to the driving experience. 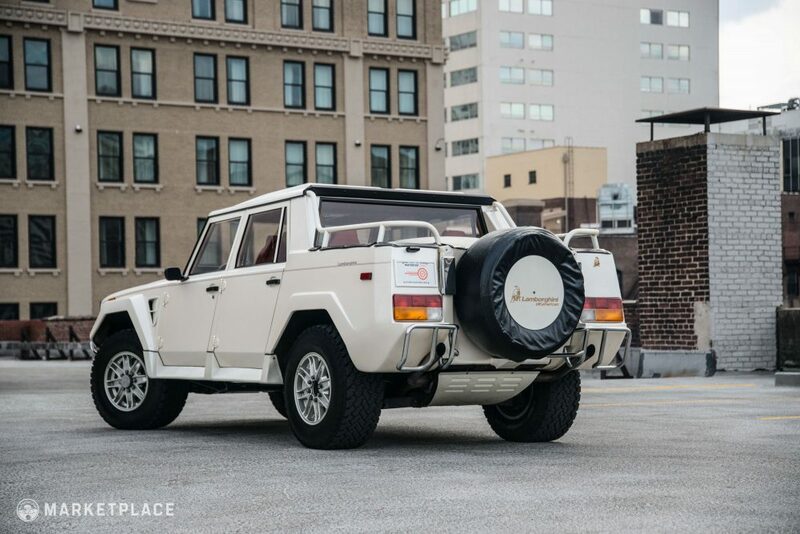 Handling – The suspension is all original but remains tight with no play at center. 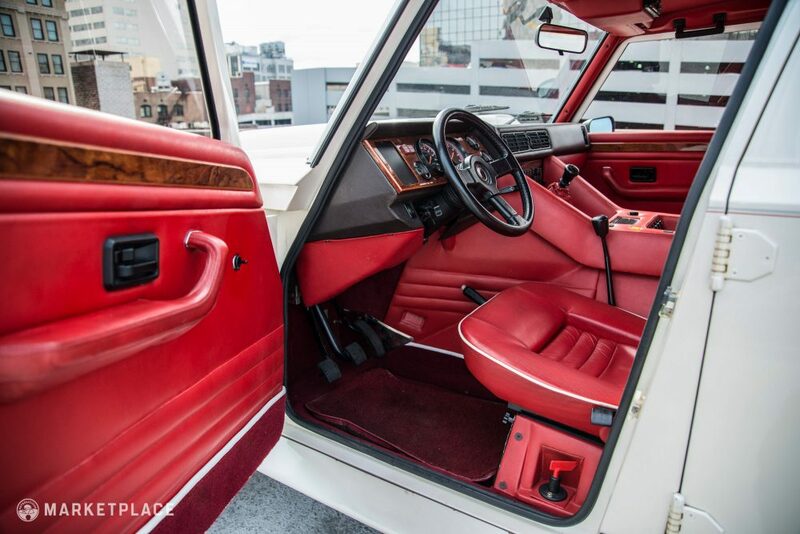 The Drive: Thanks to a smaller steering wheel and power steering the LM002 feels a lot less cumbersome than it looks. Braking is very effective and provides strong feedback. 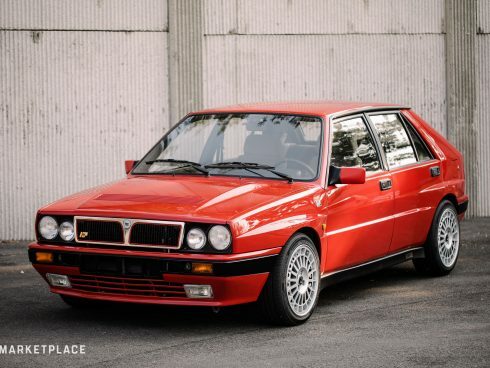 Aside from the removal of its expired tires, along with routine fluid, belt, and filter changes, this car is exactly as it left the factory in 1990. 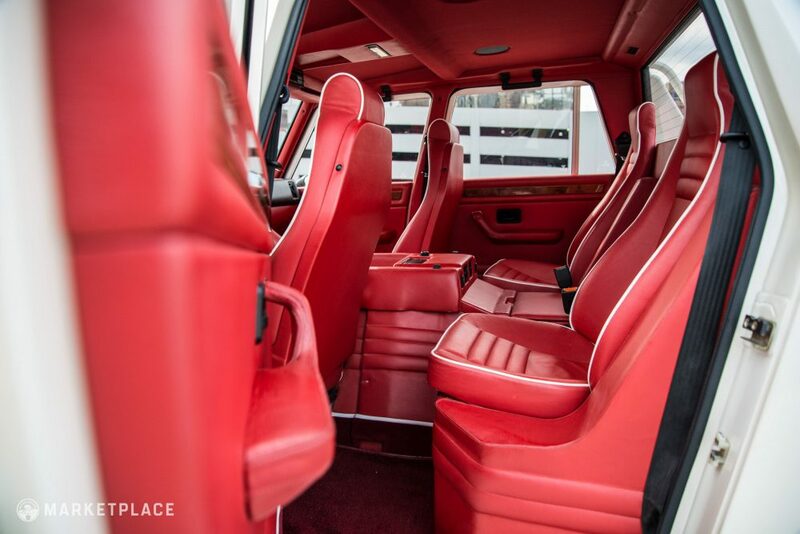 The body panels, paint, drivetrain, powertrain, and interior are entirely original and present in showroom condition. 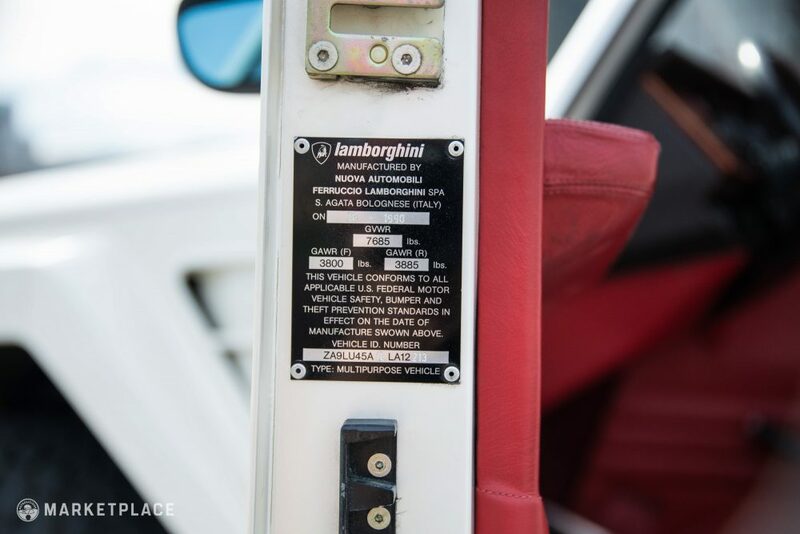 The sale includes the original, complete tool kit, hub locking tool, jack, leather-bound owner’s manuals, original sales documents, and factory sales literature. 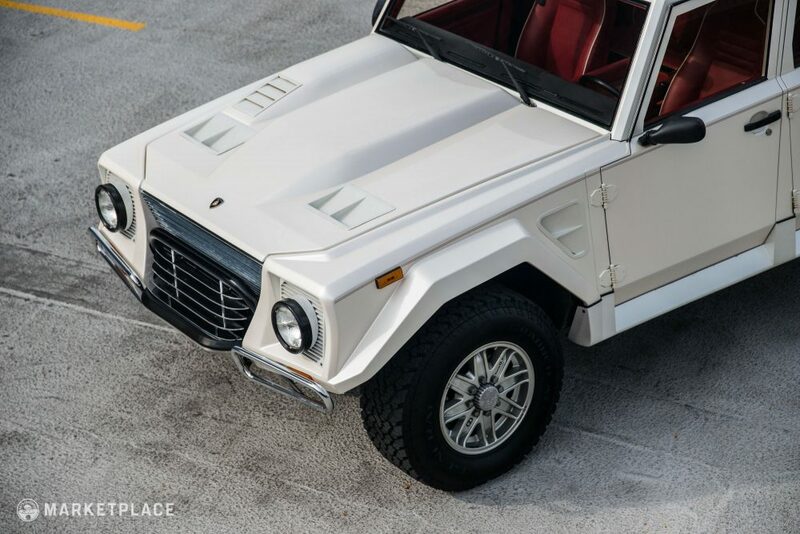 Extremely Rare: With less than 50 originally brought into the United States, this one-owner, all-original, unmodified, extremely low mileage LM002 is a rare chance to own a piece of appreciating Lamborghini history. 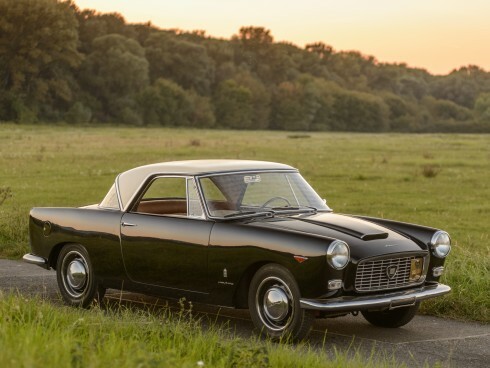 Immaculate, Low Mileage: This rare Italian luxury off-roader is in like-new condition inside and out, both mechanically and aesthetically. 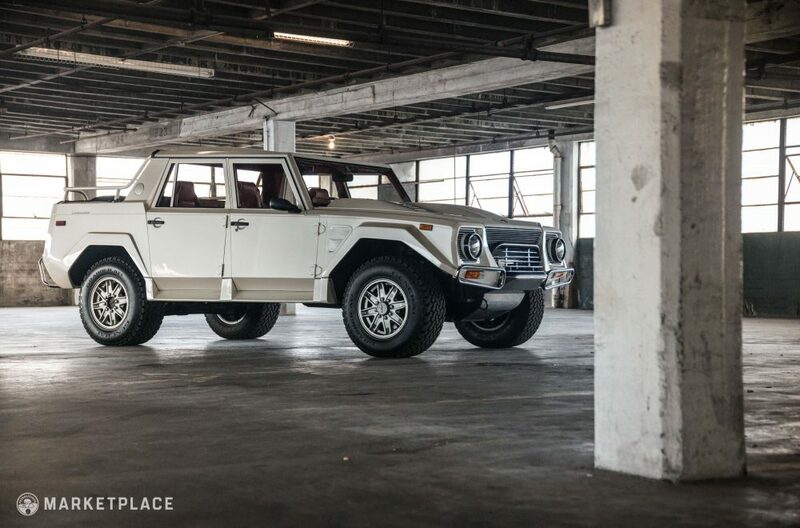 With talks of Lamborghini releasing a modern SUV, this could be a timely investment to enjoy for many years to come. 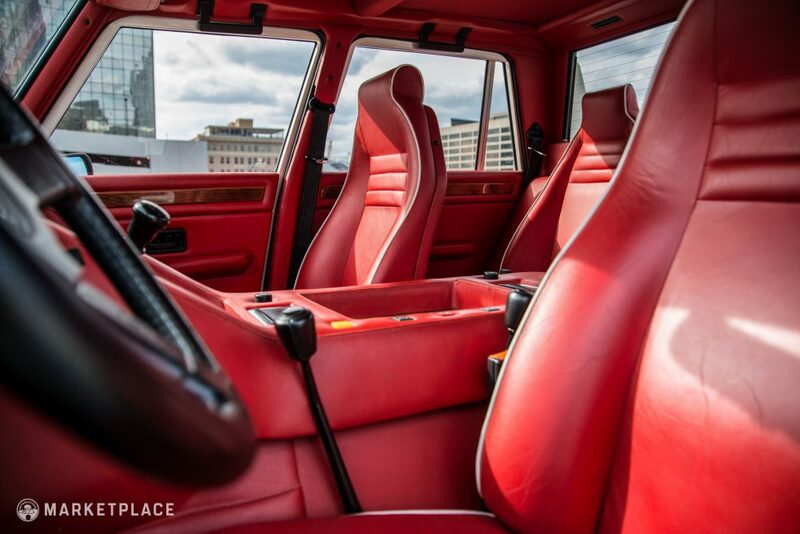 This car is for sale by Chris Baucom of Motorcar Studio based in Atlanta, Georgia.